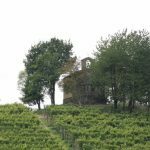 An interesting building rises on a hill in Perno, a small hamlet of Monforte d’Alba, looking out over a wide expanse of vineyards. 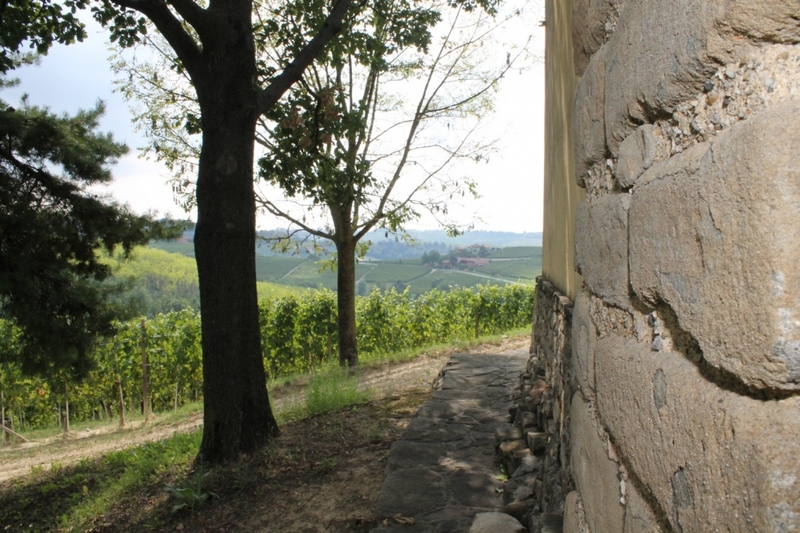 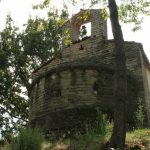 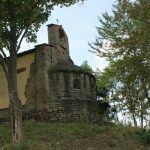 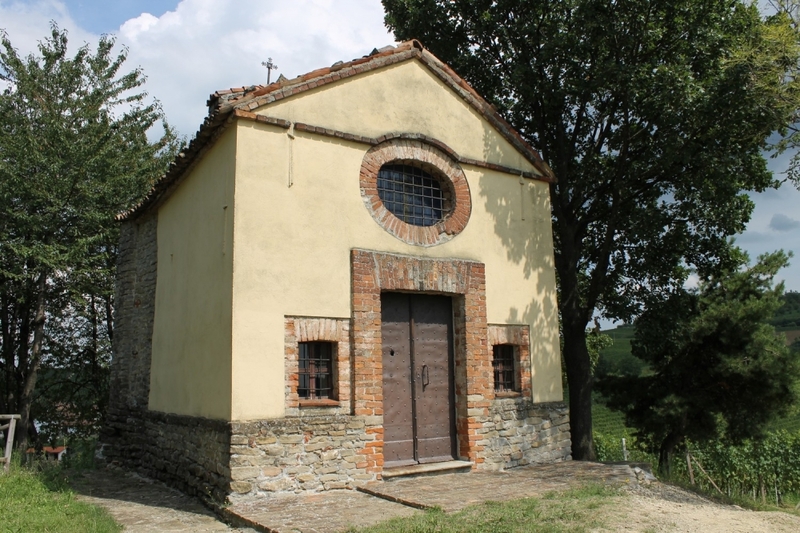 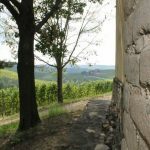 This is the rural chapel of Santo Stefano, whose position, in a little square on a gentle rise, offers peace, quiet and enchanting views. 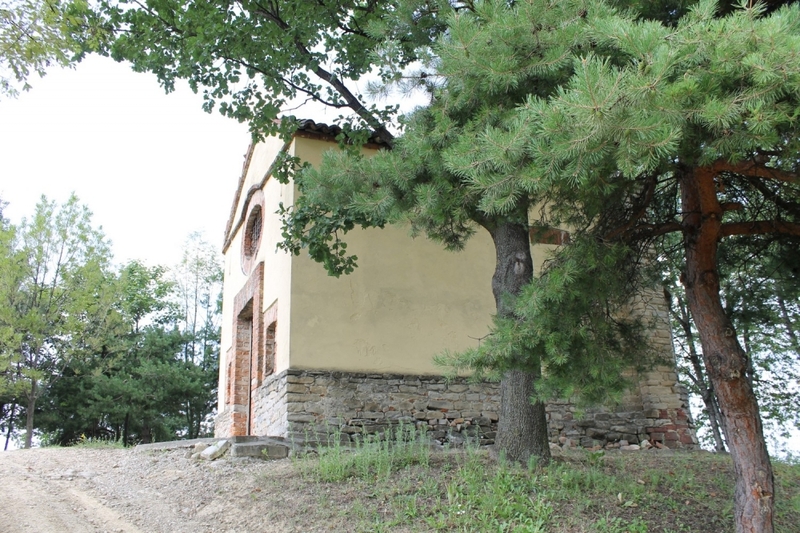 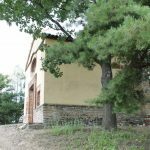 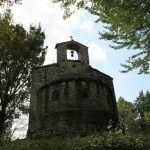 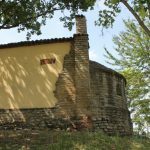 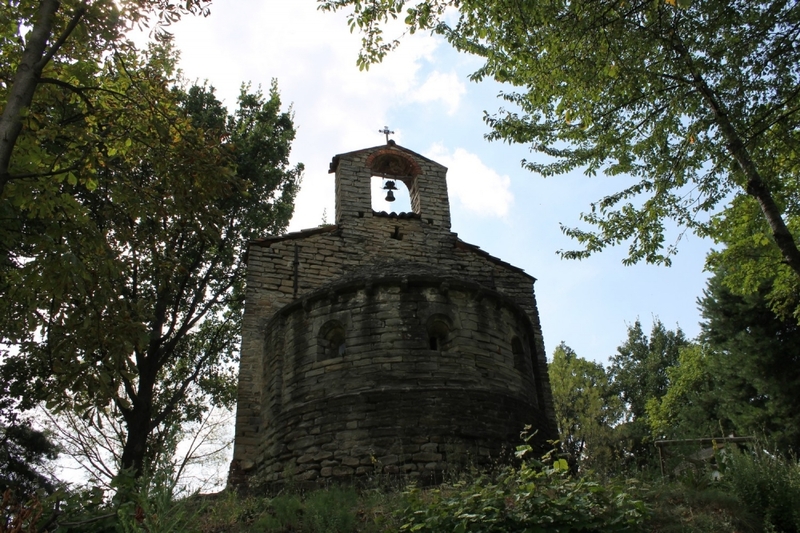 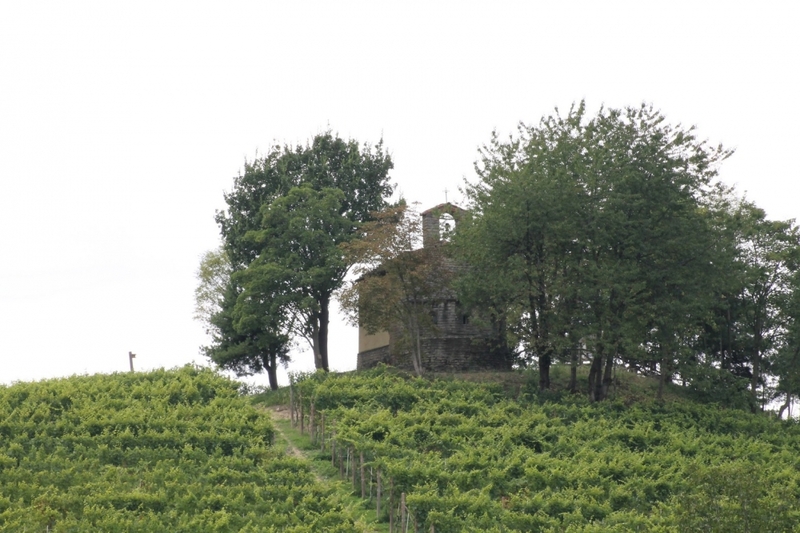 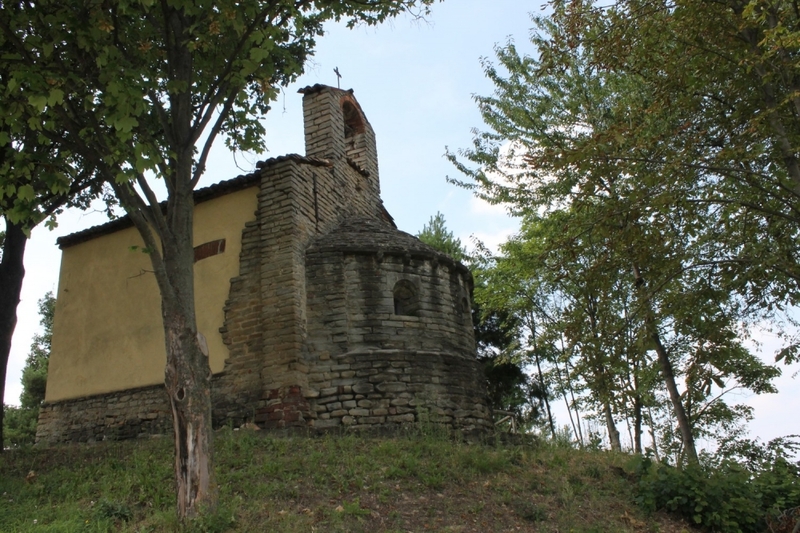 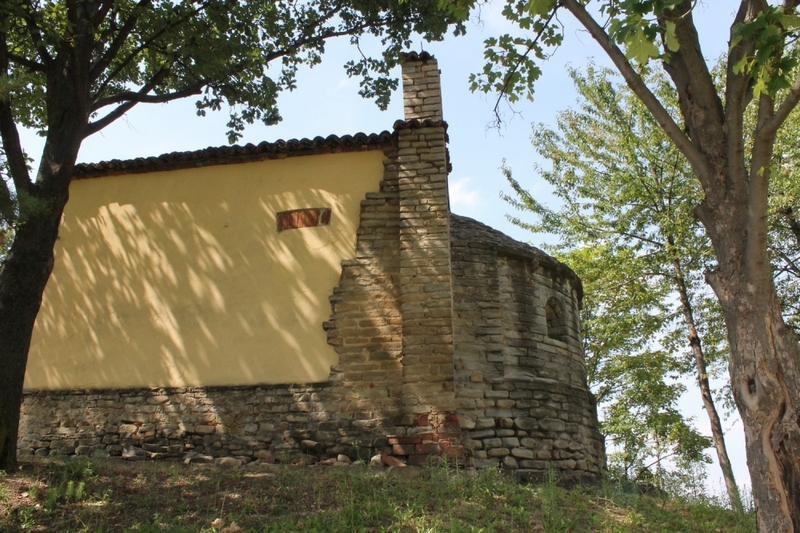 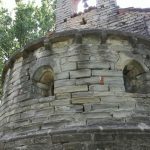 The original construction of the compact little chapel dates back to the height of the Middle Ages (12th century) and follows the Romanesque style. 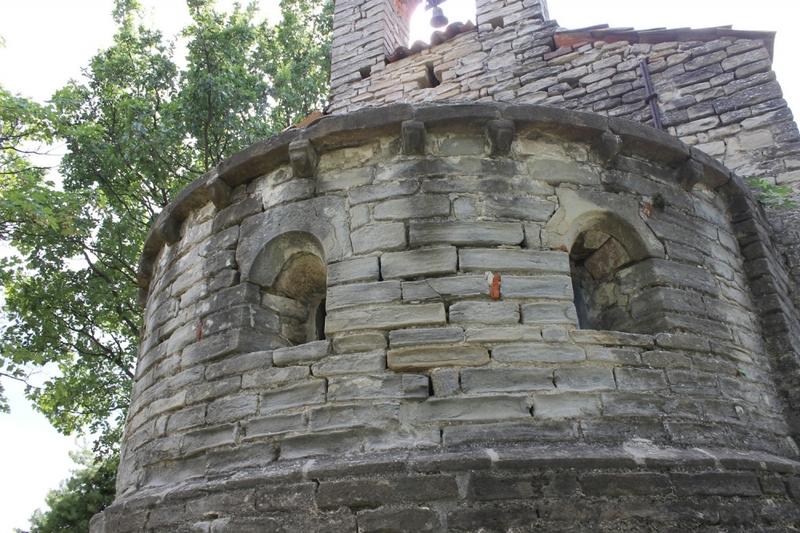 The apse and some sections of the side walls are still visible from this phase. 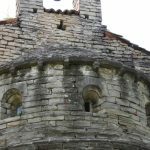 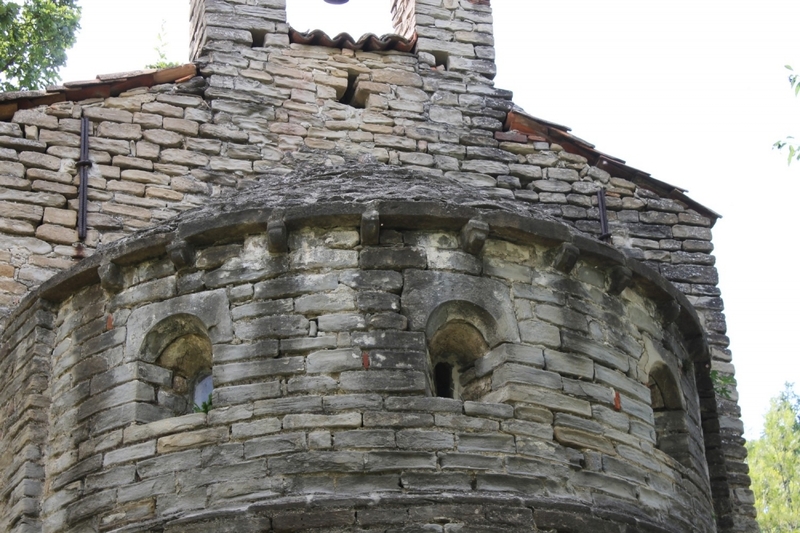 The semi-circular apse is made from freestone and has three single-lancet windows, fairly flattened in the upper part, with a slight protrusion in the lower one. 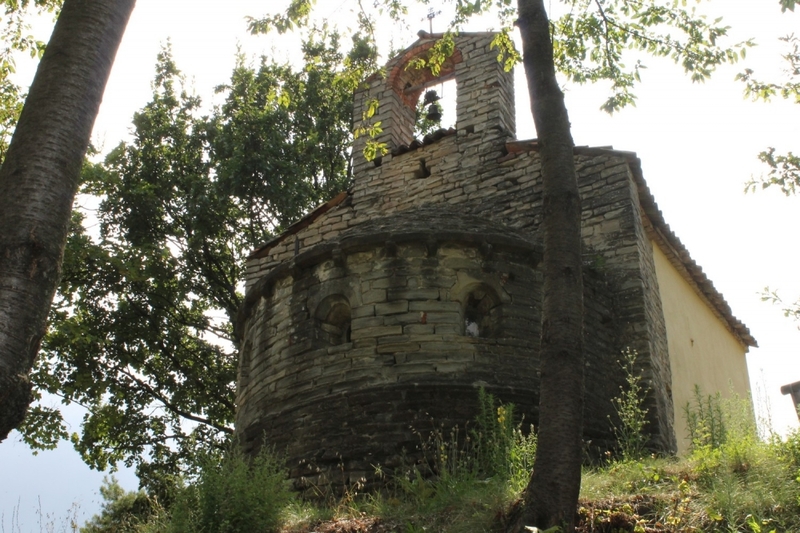 The nave and the façade were rebuilt just after the middle of the 18th century. 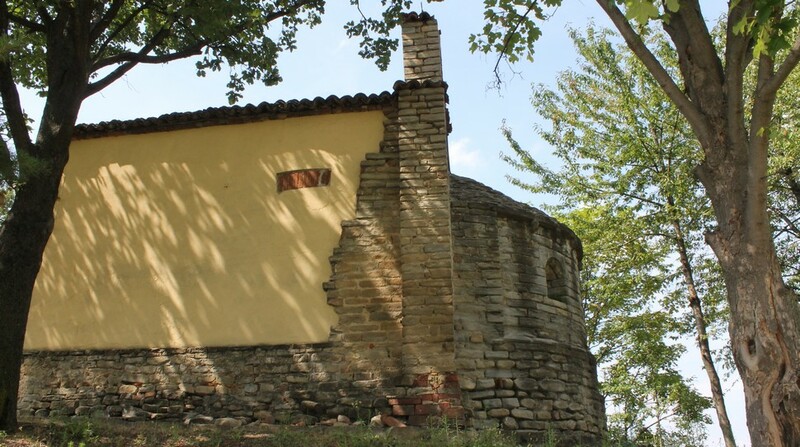 Some frescoes can be seen inside the building: in the absidal vault, to the right, a figure of the saint with a cherub at his feet, dated to between the second half of the 14th century and the start of the 15th; while to the left a fragment from the second half of the 15th century showing the stoning of St Stephen.